Note: Our MISPRO Yellow Is Used By Many Customers To Print Resist Patterns To Copper PCB For Etching. For More Information Please See //techref.massmind.org/techref/pcb/etch/directinkjetresist.htm Or The Inkjet Printed Circuit Board Printing Yahoo Group. 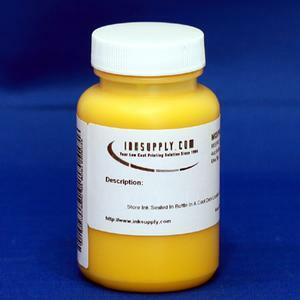 Inksupply.com Is Not Affiliated With These Groups And We Are Unable To Offer Support On This Process; However, We Are Always Interested In The Unique Ways Customers Use Our Products.